That isn't weird at all. I would much rather be able to make this stuff then buy it any day. Then my collection would be exactly what I would want it to be. Plus there is just something awesome about making something with your own hands. While I am here though I will say that I would love to get my hands on Peter Johnsson's new longsword, and that huge swiss saber that Nathan has from A&A. In addition I would like a custom piece from Barta and EBE. 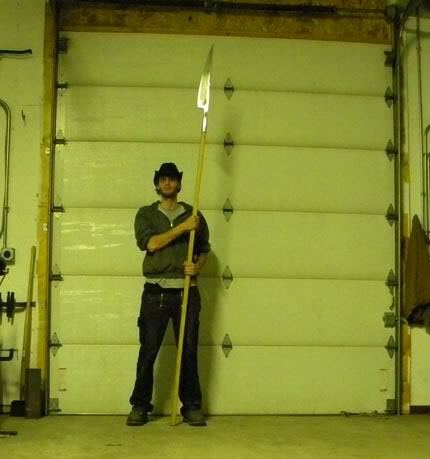 I too, vote for Mr. Bell's TEMPL Celtic sword. I am in serious envy of Scott Kowalski's early glaive by Michael Pikula. There are some stunning swords on show here and as a new member i haven't seen many of them before, I am truly envious of these stunning pieces. I want to ask a question on etiquette if i see a sword I would like made, is my first obligation to ask the owner for permission to have one similar made, I say similar because i feel some details should be different so no two are identical, or is it a matter between the swordmaker and his customer to only make the one. As most of these swords are based on ideas from pieces in museums they are essentially copies themselves so is it a free for all on getting what you want regardless of who owns something similar. 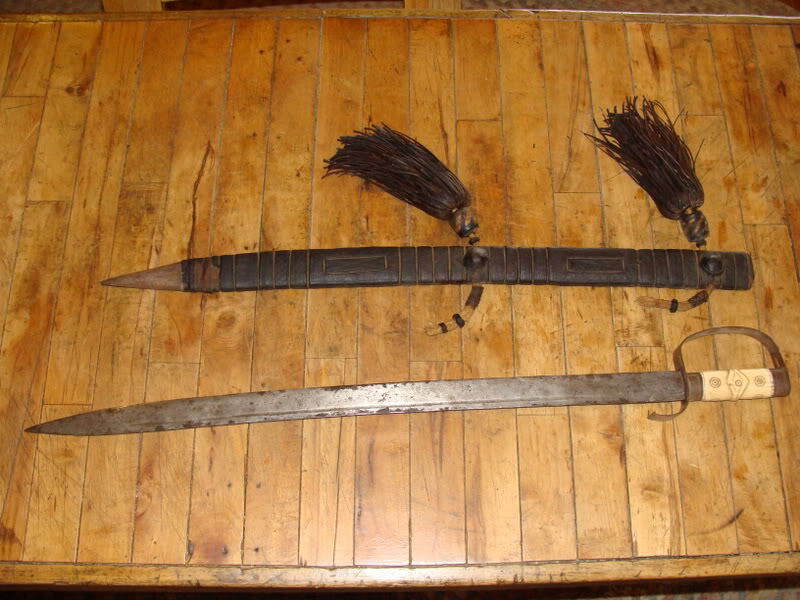 Personally I would ask the owners permission first, as you are coping there sword, then the swordmaker. any thoughts. That's a great question for a new thread. Why don't you make a new topic in the Off-Topic Talk forum? 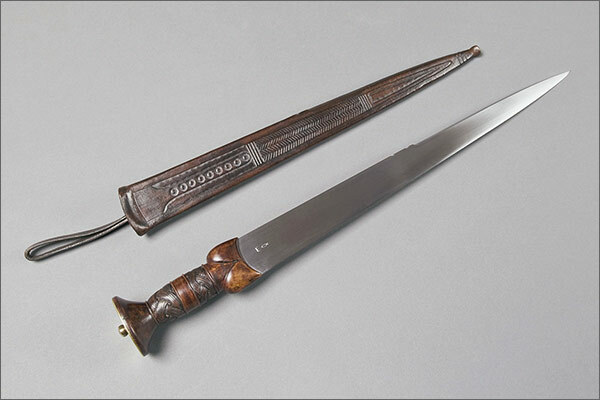 Please add the following daggers to my pile of things I covet. It's so hard to choose as there are so many nice swords out there! 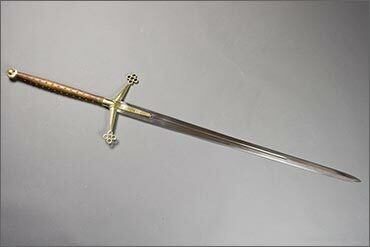 This is a replica of the Fetter Lane sword done by Patrik Barta, owned by Kirk Spencer. This is one I would love to have! How the heck did that one slip under my radar?!? That is probably the single, most GORGEOUS Migration-era sword I've ever seen! Peter Johnsson, Jake powning, Patrick Barta, Robert Moc, Owen Bush/Tod, Vince Evans and E.B. Erickson, Marc Vickers and Arms and Armor. Among the ones not around anymore, Phoenix metal creation for these superb complex hilts. This topic has been interesting and useful for me. Because I posted it, i was able to acquire a couple things that I expressed wanting. Lucky for me! Perhaps this was on the back of my mind when I posted? Truth be told, I'm not entirely sure. But an unexpected thing happened as well. I just sold an item that was mentioned in this topic and am considering putting up for sale a couple more items from this topic. The fact that I know there are interested parties is really pushing me to consider such things. 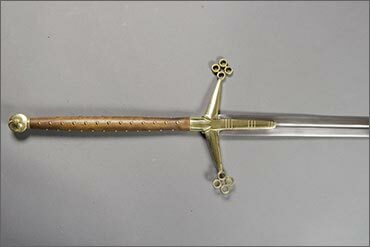 For the record, the item that I recently sold was my Bronze-hilted Claymore. This was a custom piece made over 10 years ago. When I moved into the pad I live now, I put the sword into a closet and there it sat for 5 years. When I saw it mentioned in this topic, I put some thought into the fact that I hadn't handled the piece in so long so I might as well sell it. When I first got it, it was a a really great example of a sword that was of higher quality than most of the offerings available at the time. My worry was that because it's so old and the market has changed so drastically that it would perhaps not be able to match up to the quality that today's market provides. I was wrong. I took it out and after some polishing and upkeep, I realized that the piece was better than my memory (or my old crappy photos) recalled. It's actually pretty great. The new owner is happy with the piece. I gave him a very good price. All he had to do was ask, really. It never hurts to ask. Fun idea for a thread, Nathan! 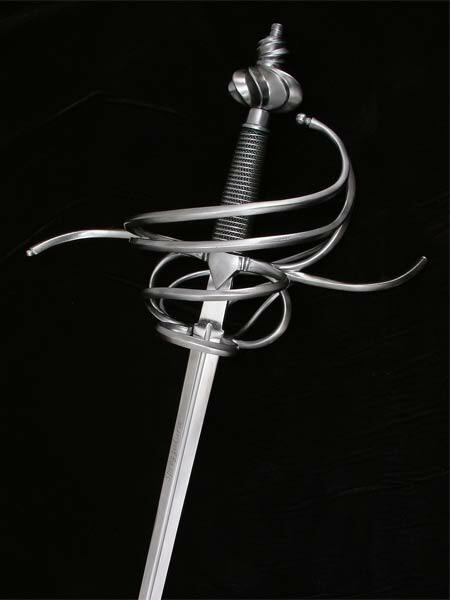 My all time favorite -- a Walter Allen hilt by ElJay Erickson. Formerly of Thomas MacDonald's collection. Not sure who the lucky owner is now. Kelvingrove Dirk by Vince Evans. Ben Sweet posted the photo, so I am assuming he is the owner. Is that right, Ben? 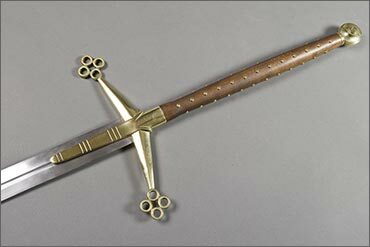 The all-brass hilted dirk Mac used to own was also a favorite of mine. Couldn't find any photos of it in the user albums. Pinch of Snuff by ElJay. I believe Steve Grisetti is the current owner?? 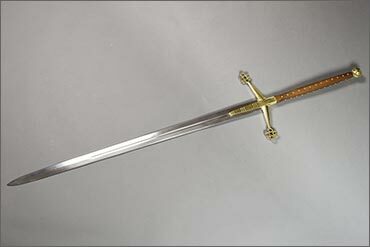 Diamond hilt by Vince Evans -- also formerly of Mac's collection. Again, not sure who has it now. Update to include this recent addition to Nathan's collection -- a beautiful example of an early dirk!